My dad isn't much of a chit-chatter. He was never one to linger at the table for an hour or two after dinner, just talking and laughing and telling stories. He's a go-getter, and he'd rather spend most of his free time being very productive than listen to his children laugh at jokes about bodily functions. On Monday, before I trekked the two hour drive back to San Diego, I met my dad for lunch. He bought us both a teriyaki bowl, then ate most of mine when I couldn't finish it. When our food was done, I kind of expected him to "move things along" as he usually does and get us into the car so he could get back to work. So I was very pleasantly surprised when he didn't. Instead, we just sat there in the restaurant, our cups slowly depleting, talking about spouses and investments and families, and how to decide which good decisions to choose and which ones to sacrifice. We talked about what makes a person successful and what makes a person happy, and how to get to each place. He's a great source to talk to about all of these things. In most people's opinions, he's one of the most successful, happy, smart, driven people they'll ever meet, and they want to know how he did it. I've talked previously about becoming a millionaire by age thirty, and what Conrad and I are doing to work toward that goal. But this one unexpected conversation with my dad kind of changed how I view success. It may be a dollar amount that makes people view you as "successful" but is a trust fund child necessarily successful? Is someone successful because they inherited a large company? Or own a large house, or several expensive cars/watches/clothes/etc.? Just being wealthy doesn't make you a success. Just look at Bruce Wayne. "If you took everything away from me, all my money, all my possessions, and stripped me down, I would still consider myself a success." He went on to specify that knowledge, ambition, and the savvy to use the two together are what make a person successful, much more than anything you might quantify. He described a good friend of his in a similar way. "If you took everything away from Graham, I mean everything, and just gave him one dollar, he'd be back to his current wealth in a year. He just has the ability, drive, and know-how to create something out of almost nothing. He's an incredible businessman." I told my dad how Conrad and I have been strictly budgeting (mostly me) so we can save on a really consistent level and start to build our investments. I told him how hard it was. It's really hard to refrain from buying something that I want, especially if I know I can afford it. 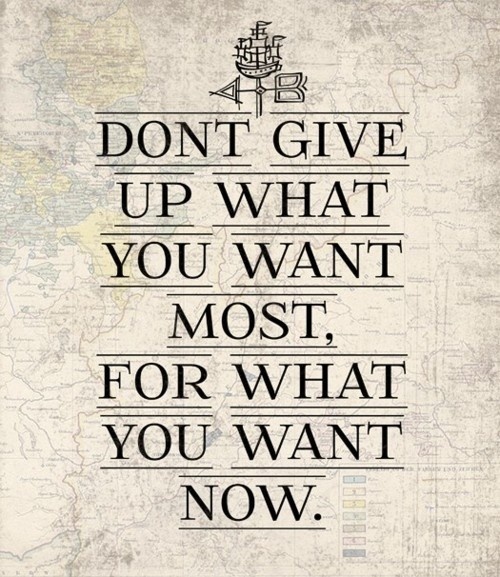 I'm really learning the principle of not sacrificing what you want the most for what you want right now. Eating out with friends may only cost $10 a day, but it quickly adds up. Even something larger, like getting new floors in our condo (a big project, but something we could definitely do) really needs to be considered. Would you rather have new floors, or would you rather have a bigger house in a year? Every bit saved and budgeted brings us that much closer to our grander goals. Stay tuned for Part 4: Tight budgeting: A how-to.